Renewable | Kravvaritis & Partners | Consulting Engineers, appointed by ASPROFOS ENGINEERING (www.asprofos.gr) to undertake the detailed design for the upgrade of an existing 2300kW-th water-cooled process cooling system at DIAXON’s SA (Plastic Packaging Materials) BOPP film plant (www.diaxon.gr). 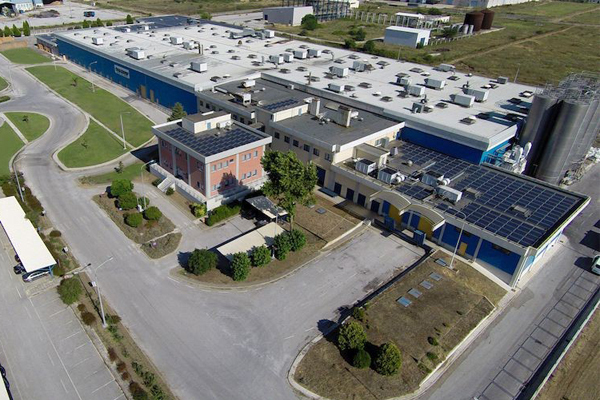 The BOPP film plant is located in Komotini’s Industrial Park and has been in full operation since 2000. Both production lines are based on the «Brückner Maschinenbau» technology and produce a wide range of BOPP film (plain, coextruded, metallized, white, pearlized, etc.). The production process is fully automated, and the equipment is based on the most updated and sophisticated BOPP film production technology. The site is located in Komotini / Greece. Since 2002, RENEWABLE offers integrated Consulting Engineering Services – MEP Design, Construction Supervision, Project Management & Technical Assistance – covering a wide range of development and technical projects, such as Energy, Health, Building, Tourism, Mining, Industrial & Infrastructure.